There have been many arguments as to which formations are the best for youth soccer players. These formations have been proven time and time again and are endorsed by many national soccer clubs and organizations. Mental setbacks could hold your child back from dominating a team tryout. Here are seven tips to help kids perform their best. 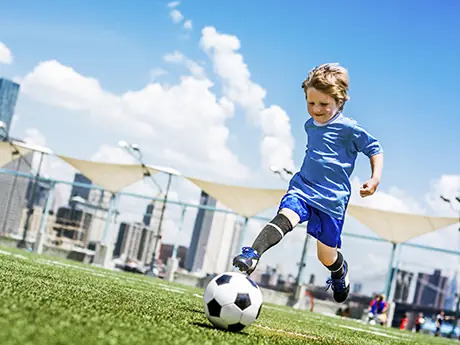 Sports parents need to hustle from baseball practice to soccer games and beyond, and these hacks will help you do it like a pro. Learn about the most common heatrelated illnessesand how to treat themso your little athlete can stay in the game and off the sidelines. Ditch static stretching for these nine dynamic exercises that warm up the whole body for activity. Use these six steps to develop a stronger, faster and more accurate soccer shot. Seeing Double is a great coordination, ballmastery, passing and receiving drill that involves a lot of team work between pairs. Use these tips to get mentally and physically prepared for school or club soccer tryouts. Dribbling is a ball skill that's crucial in soccer. Here are four activities that can help take your team's foot skills up a level.